These comments will go directly to Flower Shop Network. This is NOT a method of direct communication with MONROE FLORIST & GIFTS for the purposes of ordering or rectifying problems. First time ordering here and they were fantastic! They were very helpful and got right on my order! They delivered exactly how I asked and the arrangement was absolutely beautiful! I will definitely be using them again! I buy a lot of of flowers in Wilmington nc and Jacksonville nc these are buy far the prettiest flowers I have ever seen. Highly recommend and will use them again. The arrangement was gorgeous! She loved it. Great, fast service with no issues! Was very happy with flowers. Great Florist! the arrangement is absolutely stunning. It is so full it is hard to water it. Very happy! Great flowers! My wife was very pleased with the flowers. This bouquet was so beautiful and fresh! 4 days later they are still as beautiful as the day they were delivered!! Thank you for taking great care to deliver a premium floral work of art! I was present for the funeral and the arrangement was beautiful. Well done. My mom was very pleased with the flowers. As always, the flowers were delivered in good time and my wife was very pleased. Easily viewed selections, ordered, and paid online. Flowers delivered on time and was as shown online. Great experience. I'm always a little concerned when shopping for flowers on the internet to send out of state but the recipient LOVED the arrangement! She sent me photos and the arrangement was every bit as pretty in person as the photo on-line. In fact, it looked just like the arrangement I picked out! MF&G did not skimp on flowers and I'm so appreciative. I will use MF&G again if I need to send flowers for someone in that area. The arrangement I ordered was just beautiful! I let the designers create the bouquet and it was perfect! My Mom raved about how beautiful the flowers were, and that they lasted for a few weeks! The feedback from the recipient was very positive. I had a great experience ordering online with Monroe Florist and Gifts and the arrangement was BEAUTIFUL! Always very pleased with the promptness of delivery and the incredible quality and beauty of the arrangements that I order from this Florist! Excellent! I made this order for my wife when I was out of the country via the internet. You did a great job and the flowers have lasted and been enjoyed for many weeks. Thanks! The most beautiful bouquet I have ever received. Fresh, large, roses lilies snapdragons and more!! I ordered flowers for 2/20, for my friends birthday. She raved about the beauty, the size, and the smell of them for days! She was so pleased. Thank you so much for the joy they brought her. They lasted for 20days! Amazing. I have used your flower shop in the past and I am very happy with the service received along with the high quality of flowers that we’re given. I live in NJ for now but plan on moving to the Monroe area but until then will continue to use you for everything. Keep up the awesome work and have an great day!! The best service and the arrangement was much larger than I anticipated. The roses were alive for two whole weeks! The flowers were beautiful, and still look great 4 days later. If I ever need local flowers, I will definitely use your company. It was amazing! The recipient loved it! Thank you so much! Thank you so much for your service. My friend loved them and said some of the flowers are still going strong. Awesome! My mom was very pleased with the flowers and I will most definitely use Monroe Florist again. Ya'll have taken care of my family for a long time and I will continue business with you. Thanks for all you do!! The flower bouquet is beautiful! The flowers are still fresh and smell delightful a few days after delivery. Thank you! The flowers were beautiful and delivery time was fast. Thank you! I loved the flower arrangement that I received! It was a nice big arrangement with fresh cut roses, beautiful! The arrangement was a surprise birthday gift from my sister in Minnesota, delivered to my work. I was thrilled with the beautiful arrangement and variety. Beautiful work. The flowers arrived exactly when they were requested to be delivered. Couldn't have been more happy with how good the flowers looked. Will definitely be ordering from Monroe Florist again!! Great arrangements with quality flowers. Great service! The flowers were beautiful and everything was delivered on time. As always, I was very pleased with the service and delivery. My wife was very excited to receive the flowers. Shelton and his staff are amazing. Their work is beautiful, on time and very price sensitive. Their deliveries are always on time and his staff is friendly and very polite. My hats off to this florist for always making us look good. Very very fast delivery and easy to order on-line. Thank you so much. Your service was 5-star for sure. I can not thank the staff at Monroe Florist for everything they did for me, being that I was out of town and in need of a last minute for a arrangement. The sincere customer service and talented work was shown in the final product of the arrangement that went above and beyond my expectations. Needless to say, I was a very happy customer. Recipient was very pleased with the arrangement. I saw a picture and it was much more than I even anticipated. Thank you! I experienced excellent service and and we received the most gorgeous flowers- thank you! Thank you so very much for the gorgeous arrangement sent to my mother-in-law at the passing of her husband of 59 years. I ordered the Purple Passion arrangement in Premium and she was delighted. Her favorite color is purple and this was just what she needed to brighten a very sad day. Your shop never fails to send the very best and very affordable prices. Another big hit. Very pleased. Have never been disappointed in 5 years, always happy. My friend was very pleased with the flowers. She called to say they were just beautiful. I'm pleased that the deliveryman called her instead of leaving the flowers at her house to be eaten by the dogs! I send flower arrangements to my Mom in NC on several occasions a year. I never know what to send so I just ask them to do their magic and they do just that. The arrangements have always had the most beautiful, freshest, and long-lasting flowers that I have ever come across AND, their service is unsurpassed. I rate Monroe Florist, in all categories, as a BIG TEN!! I was very pleased with the online order process and it was delivered on time. The recipient really liked the arrangement. Delivery was on time. Arrangement was beautiful; lots of compliments, as always. Very pleased. Beautiful flowers ! Highly recommend this florist! Great experience - flowers were delivered fast and were exactly what I ordered! Roses were beautiful and delivered on time. Thank you so much for having this option available for ordering flowers for delivery!! It was so important for us to be able to show our love and support from a few states away since we could not travel to the funeral! I am confident that the flowers were delivered and were a beautiful expression of our love and respect! I received an arrangement from your shop on my 69th birthday on June 19 from a relative in PA. I can honestly say i have never received flowers that were this beautiful and fresh. Also have never had flowers that smelled this good. After 6 days they still look and smell terrific. Thank you Monroe Florist for a great well done! EXCELLENCE in a word! The online ordering process was one of the easiest and informative I have ever used! I was concerned how the arrangement may turn out, the unknown of ordering online and using a Florist for the first time. This arrangement was for a family members funeral. It was a moment of WOW...when I was in line for the viewing with other family members and there is was a magnificent gorgeous arrangement there in a prime spot. It was amazingly done! One of the most beautiful arrangements I have ever seen! It was called the "Magenta Sunset". Thank you Monroe Florist for a superb job! VERY BEAUTIFUL ARRANGMENT, AS ALWAYS!! Excellent service! The flowers that were originally delivered were dying by the second day after the delivery, but when I called on Monday some new flowers were taken over and my mother still had those flowers (which still looked amazing) last Friday. Thanks for making my mother's Mother's Day extra special. Flowers were gorgeous and arrived on schedule. Very pleased. YOU ALWAYS DO A FANTASTIC JOB, BUT, I THINK THIS IS THE MOST BEAUTIFUL BOUQUET OF FLOWER I HAVE EVER SEEN. THEY YOU AGAIN FOR THESE BEAUTIFUL FLOWERS, THEY MEAN SO MUCH TO ME, THEY WERE SENT TO ME FROM OUR SON AND FAMILY THAT IS IN TEL AVIV, ISRAEL, SO YOU SEE YOUR BEAUTIFUL WORK IS KNOWN AROUND THE WORLD!! I was VERY pleased with the way they took care of my order. They went over and above what I asked just to make sure the flowers were awesome. I would recommend them to anyone. Super Super people there. It was a beautiful arrangement! My husband called the day after they were delivered to thank everyone & I left feedback (via your website) that same week. Will definitely be returning as a customer. Thank you! 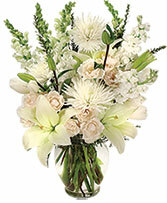 Sunday we placed an order online for a standing spray floral arrangement for a dear friend's funeral on Monday. It was outstanding! It was incredibly beautiful and the flowers and colors were amazing. We received many compliments on them. Thank you so very much for a job well done! The florist made an error on the delivery date, but accidents happen. The owner sent an additional bouquet on the proper date without charge. Great customer appreciation that will keep me returning for my floral needs. The flowers I received were a beautiful gift from coworker. They are gorgeous ! Great service, couldnt ask for better. Thank you very nice just what I ask for. Very bright and cheerful. I believe this florist has help me make a love connection. Beautiful fresh high quality flowers. Always use this florist when possible. I used online for first time. Great experience, good service, and most important the flowers looked great! 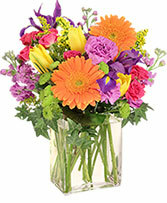 Have ordered with you several times, and always very pleased with quality of flowers. The vase was also very nice. Flowers were beautiful and larger than I expected. What an incredible performance by Monroe Florist on a last minute order for flowers for a funeral. A beautiful arrangement was delivered just in time AND Monroe Florist sent an email confirming it had arrived well before the service. We had peace of mind and the family was so pleased with the quality and beauty of the arrangement for the Veteran. Thank you Monroe Florist. I thought it was a quick and easy process and from what I heard they were delivered on time. If I order flowers in the future for that area I will definitely go through you again. Hello! Thank you very much for your help with my 10th Anniversary Roses! My wife loves them!!! Your arrangement came out perfect and I am very happy with your service and how helpful you were on the phone! I will be back! The flower arrangement was absolutely beautiful. They knew exactly what matched my personality and that made me feel like that arrangement was designed for me. They are always so wonderful and easy to deal with - whether it be over the phone or in person. I had the flowers in my wedding done by them and I couldn't have been more happier with them. They definitely are the flower shop that I will keep going back to time after time. My mother was THRILLED with her flowers for Mother's Day. Can't thank you guys enough! Second year in a row that I ordered roses with Monroe Florist and Gifts. Their roses last 2-3 times as long as roses from other sources. Delivery service is top notch!! Outstanding service! Great customer service, very pleased every time we order! Corsages for prom are outstanding! Great job! You always do such a nice job. I love the flowers. Awesome service and experience. Beautiful flower!! While the arrangement you sent to C. Lukac at Gordon's funeral home was beautiful. I was expecting a pink arrangement. I'm a little disappointed because pink and purple were her favorite colors. Had I known the arrangement would have been all white, I would have changed what I was ordering. 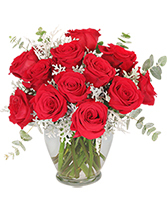 Beautiful flowers and on time delivery! Great florist. Yes, the roses are just perfect. Just changed the water after 6 days without any issues. Thanks for the great service and Happy Holiday's. The spray was absolutely gorgeous! I hope it brightened everyone's day as much as it brightened the room! Thank you so much! Flowers were delivered in a timely manner and were beautiful. The flowers were absolutely stunning!! A beautiful arrangement of flowers some that I had never even seen before. I received them Friday and they still look fresh and some new blooms have appeared. My mom said the plant was very nice and pretty and very "full". I wish the delivery price was cheaper, but overall I am satisfied. I ordered roses from Monroe Florist for my aunt's birthday in April, and I ordered a funeral arrangement in May from Monroe Florist. Both experiences were absolutely perfect. Not only were the arrangements stunningly beautiful, but both deliveries were also done in timely fashion. Upon delivery of her roses, my aunt telephoned me and bragged about how beautiful her roses were. She even took pictures of the roses. Regarding the funeral arrangement, luckily,I was at the Monroe funeral home when the order was delivered, and I was so proud as those who were present complimented me on the fantastic show of gorgeous flowers. As a native of Union County, but a resident of Cumberland County, I highly recommend Monroe Florist as one of the best in the area. Plant was beautiful. I will certainly use this florist again. Initially I was disappointed because I thought the peace lily had no flowers or buds, but did discover one later. It is a lovely, healthy plant and I hope to keep it a long time, a gift from my son and family in New Hampshire. Thank you. Excellent follow up and customer service as well as a great looking produce. My wife was completely surprised and happy with the flowers. I will order from you again in the future. I'm fortunate as my husband orders flowers for most all occasions and has them sent to my place of employment. EVERYTIME I get them everyone comments on how beautiful they are and ask which florist they came from!! It's clear that someone takes pride in making sure the arrangments look great and they're always gorgeous!! I recently purchased flowers for a friend that lives in Wingate. They were very pleased with the beautiful plant. You also did the flowers for my Mom's funeral and the flowers were awesome. I live in CA now but it is nice when I come home to have a quality florist I can depend on and treats their clients special. I was Very Satisfied. I was very pleased with the service from Monroe Florist. The email informing me that my arrangement had been delivered was very much appreciated. I have also heard from the person to whom I sent the flowers that they are still beautiful, days after delivery. Thank you for your excellent service. I would not hesitate to use Monroe Florist in the future and to recommend it to others. The floral arrangement was exactly as it appeared on the website. We were extremely pleased and the family thought they were beautiful. Thanks for making the process so easy. Monroe Florist provided EXCELLENT customer service. Thank you for the venue to post a response. Thanks for making my order to fit my friend's need! Thanks for getting it to her so early also! Ordered these over the internet and recieved very positive feedback. It was a big disappointment for me not being able to be there for my friend of 25+ years and her family; therefore, ths was extremely important to me. Happy to know they really appreciated the arrangement. Thank you! The flowers were lovely and very much appreciated by the recipient. Thanks for the great service. I will plan on ordering from you again next Christmas. As stated in the previous comments "You never know what you are getting when you order online". We ordered an arrangement for a funeral and apparently it must have been beautiful! Thank you so much for sending a perfect selection of plants. We will defintely use you again! You guys did a great job on the flowers for my husband. I could not have asked for better flowers, service or price. Shelton came to the funeral home and personally made sure it was perfect. Thanks!! My flowers arrived the next day, and were actually bigger than advertised. They were very fresh and the they were loved. Just one simple remark .. "YOU DID A GREAT JOB" .. Service - Arrangement - Delivery = AWESOME .. Look forward to do business with you again .. Thanks .. :) .. Thank you for you prompt service. I did not know if you would be able to get the flowers there on time, seeing that it was a Sunday when I ordered for a Monday viewing. But you guys came through. Thanks!!! I was very satisfied. It was so easy to make a selection and order the flowers online. The flowers were received the very next day and my friend was thrilled with how pretty the plant was. Thank you for GREAT service. The floral representative was polite and helpful but we had to select a different item as the one we wanted was not in stock. However, the recipient of the plant was very favorably impressed with the one she did receive. I am always a bit apprehensive when ordering flowers online. This was my first order with Monroe Florist and they did not disappoint. I sent flowers to my daughter and she said they were beautiful. A very unique arrangement that brought many compliments from coworkers. Flowers are fresh and beatiful, thank you. Flowers are always beautiful. Shonda is great at reading my mind of what I'm looking for!! Flowers were ordered online. Flowers were delivered very timely and were beautiful. Thank you. great service!! will order again in the future. The flowers were beautiful!! My boyfriend ordered them for Valentine's Day and I was surprised by how pretty they were. Hope he orders again soon!! I am very pleased with the quality of the product that this florist delivers. With family living in NC it is nice to know that I can order from them the product is top notch and the delivery is as promised. And I love the convenience of ordering it online. The flowers were beautiful and arrived on time. My mom loved them. Thank you so much! I was extremely pleased with the service provided. My friend said the flowers were beautiful. Thank you. I ordered flowers for my sister-in-laws funeral. I live out of state so,of course, you never know what you will get. However, the flowers were perfect. They looked just like the photo on the website. Thank you so much for the integrity you showed. The flowers from your business were absolutely beautiful! They were so fresh and colorful. I loved the square vase and the dainty fern-like greenery was a beautiful touch. Very different and nice. Flowers were delivered on time and were beautiful! Will order from you again the next time that I need flowers. The casket spray and all flowers prepared for our Mother's service were outstanding. She would have loved it. We already knew what great work you do, however when Shelton quietly came in early the morning of the funeral and changed out a few flowers to keep all of them fresh, we were really touched. We love you guys. You will have some new customers now - everyone was asking about you. The flowers were the most beautiful and most fresh ever! Fantastic arrangement too. This was my first experience with Monroe Florist. I placed my order on line. The flowers were delivered as promised, and the recipient said they were just gorgeous! I will definitely use them in the future. I was AMAZED by the care I received. I ordered my flowers right before closing and without hesitation Monroe Florist made my flowers and sent them right away. They even called me because I forgot to sign the card! A++++ service!!!! I will highly recommend you guys to my family and friends in NC!!! Thanks so much for your help!!! Well worth the price and very pleased. Thank you!!!!!!!! My daughter sent this arrangement for Mother's Day. The flowers were absolutely gorgeous. When my daughter moved to NC I found Monroe Florist online and called them to order flowers. The staff handling the order was wonderful. A second experience I was looking for specific type of flower and I was advised they did not have any but would be getting a shipment later and would check for some. I was surprised to get a phone call after the shipment arrived to let me know they would be delivering the type of flowers I had requested. Due to a busy schedule my latest order was via the internet and again arrangement was delivered and was beautiful. Awesome customer service!! You did my the standing sprays for my husband's funeral. He was a veteran, and the colors in the arrangments looked beautiful with the flag. 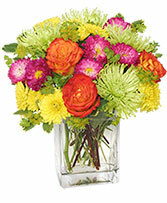 We have used Monroe Florist many times in the past and will continue to do so. The flowers are always outstanding and more than the money's worth. Beautiful arrangement and delivered exactly as pictured. The yellow rose arrangement I received from my boyfriend were the most beautiful I have ever gotten. Even after two weeks the roses still smell wonderful. Thank you for doing such a beautiful job! I will highly recommend you to all my friends. The arrangement of pink roses you did for the birth of my granddaughter was absolutely beautiful! My daughter was thrilled and even the nurses at the hospital talked about how the flowers from your store are always the best. I was also surprised about how huge the arrangement was when I considered the price ... I recently ordered roses from another florist at the exact same price and got only tiny roses in a very small arrangement. I will never use another florist in this area again! Thank you, thank you for doing such a beautiful job! The flowers I receieved were gorgeous and the delivery guy was very nice! When I need to send flowers I will do business with you. Arrangement was beautiful. Christmas greenery gave off a pleasant aroma. Flowers delivered to the Lewis family were really beautiful, they sent me pictures of the centerpiece on the Thanksgiving table. I was very pleased to see it. Thank you! My uncle and aunt were tickled pink! The flowers I received from my husband for our Anniversary were BEAUTIFUL!!!! Very pleased, all the way around. Ordered on-line around 10:00 in the morning, and they were delivered at 1:00 that afternoon at my wife's office. She raved about how big the arrangement was. When she brought it home, I saw why. I ordered the medium arrangement, and it was HUGE! It's been 2 weeks today, and she still has it on the table with about half of the flowers still alive...and the vase still looks full enough to leave out. All that to say, they didn't skimp on what I ordered. Definetly got my money's worth. It was easy and efficient - thank you! The pink gerbera daisies were beautiful! I have heard nothing but wonderful things about the peace lilly's you delivered to the Chambers Family on 10/14/2009. Thank you for your services. They said they are beautiful. My order was made over a holiday weekend and was still delivered promptly. I even recieved a courtesy call to ensure its accuracy. The flowers are beautiful and very fresh! The flowers you made up for a recent funeral were so beautiful and colorful. We are always pleased with the arrangements we get from you. I received the most beautiful arrangement today! My boyfriend lives in Virginia and sent these flowers to me via Monroe Florist. They are beautiful. Thank you for such gorgeous creations. I love them. The arangement was raved about by the person who received it. She loved it and it cheered her up. When you send flowers over the phone or internet you never know what will be delivered You did a great job!